The video banking opportunities are endless in financial services! At a minimum, it helps you deepen relationships, acquire more customers and create customer convenience. The banking relationship is changing and the consumer is driving the experience. Branchless banks are acquiring customers in mass numbers. Without the cost of physical locations, they can offer better pricing and technology due to unconstrained legacy technology and thinking. 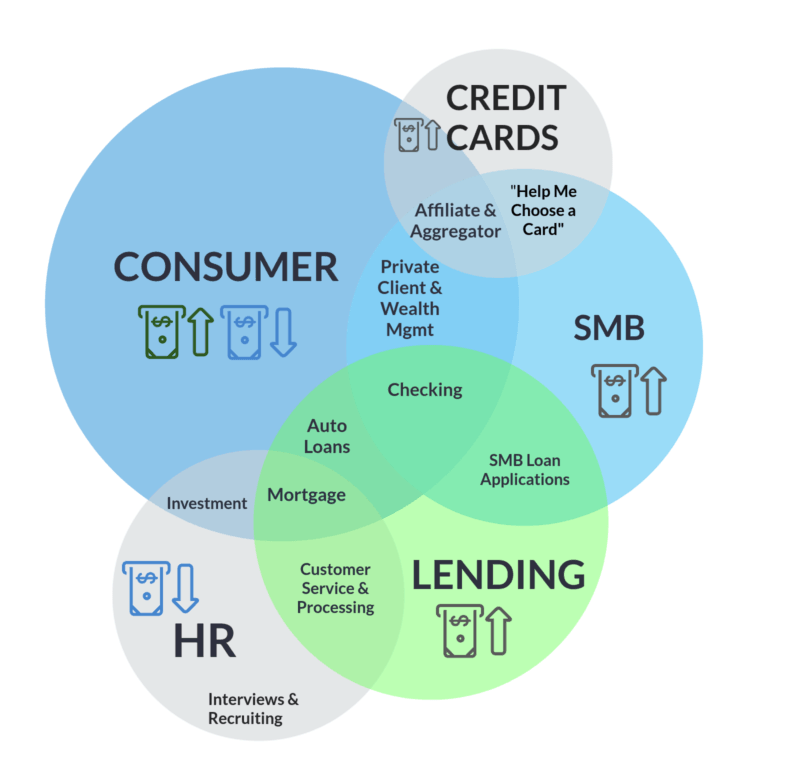 Traditional banks have been centralizing functions such as mortgage, auto loan, wealth management, and credit cards for years. Video chat solutions allow financial services companies to not only connect to centralized specialty areas “branch to branch” it allows consumers to connect from home to the right resource, at the right time. How do traditional brick and mortar banks and financial institutions acquire new customers and retain them? Consumers are all about convenience and technology. The new socially A-D-D consumer is not comparing their customer experience across banks, they are comparing it with every experience they have with brands. Implementing video chat solutions for today’s digital customer is a win-win for them and the financial institution. Video chat allows banks to still get the “face to face” time with the customers or prospects while providing the convenience the consumer is demanding. Learn more details on banking uses cases.